Looking to keep the kids busy during summer vacation? 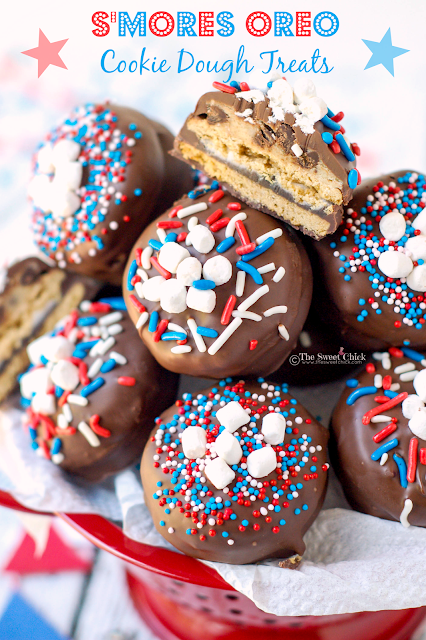 Try making these S'mores Oreos Cookie Dough Treats with them. There is no baking involved, so you can keep the house cool. And they combine two favorite flavors into one, cookie dough and s'mores. They are half crunchy, half chewy, and 100% addictive. You can decorate them with some cute red, white, and blue sprinkles and make them in time for your Fourth of July celebration. The kids and the adults will love them! Last week I was so busy putting together my daughter's birthday party and getting the house ready for my in-laws who were coming into town, I didn't have time to share these lovelies. 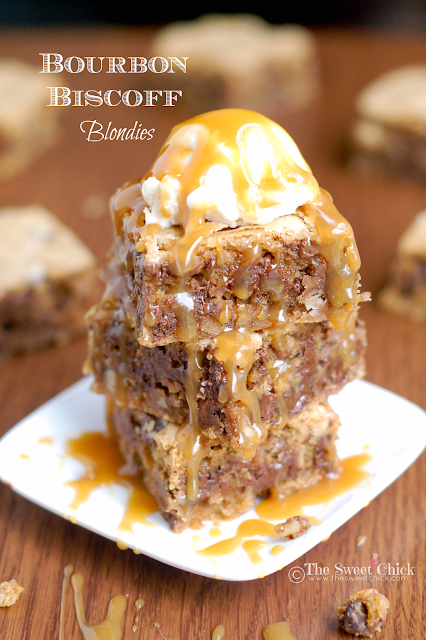 Now of course, I have to stare at this drool worthy photo and remember how insanely delicious these Bourbon Biscoff Blondies were. Not only are they fabulous alone, but they are even better with a scoop of vanilla ice cream and my easy Bourbon Caramel Sauce. So if you want to make your father something special for Father's Day this year, try these. He'll love you for it. OK, so I've been playing around with Biscoff and Bourbon a little too much lately. However, I did come up with some good results. 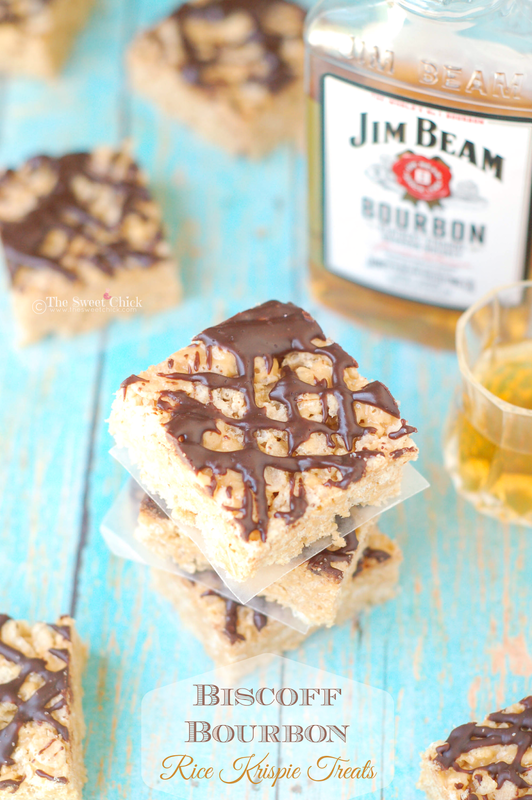 This week I made you some Biscoff Bourbon Rice Krispie Treats. 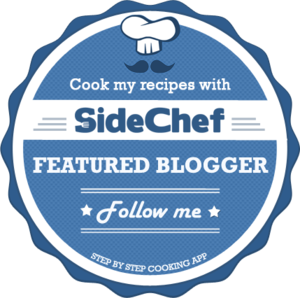 'Cause you know sometimes, you just have to add a little booze to your Rice Krispies. You don't always have to make sweets for the kids. My kids get enough sweets as it is. These crispy, crunchy treats that combine the sweetness of Biscoff with the oaky flavor of Bourbon and are topped of with a chocolate bourbon drizzle are for adults only.